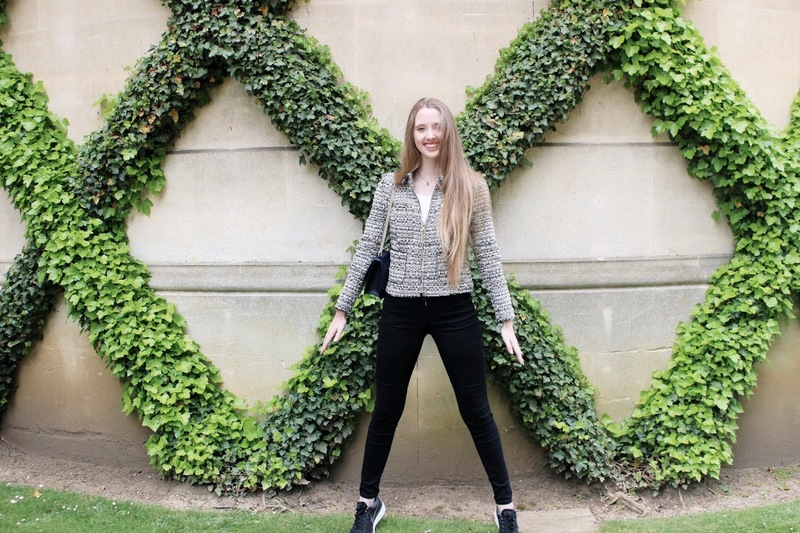 It's been a week since I set off for Waddesdon ready to spend some time in the area, and I've finally got around to leafing through the photos! The village is set within the Aylesbury Vale district in Buckinghamshire, the ideal setting for a brief and tranquil escape. 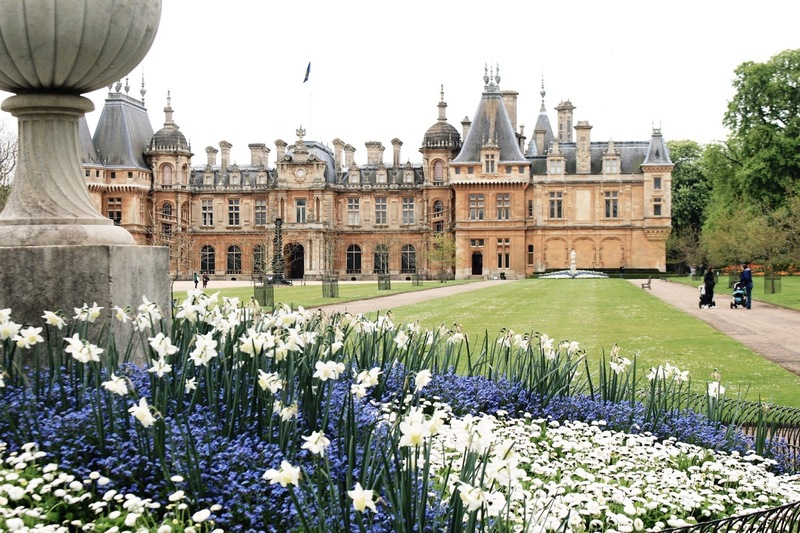 The main attraction is Waddesdon Manor, a country house originally built for Baron Ferdinand de Rothschild in the 1870s to 'display his collections and entertain the fashionable world'. We all know I love historic houses and have now visited far too many to count, but even so, I can say with certainty Waddesdon Manor is hands down the most impressive of the bunch. It takes your breath away. 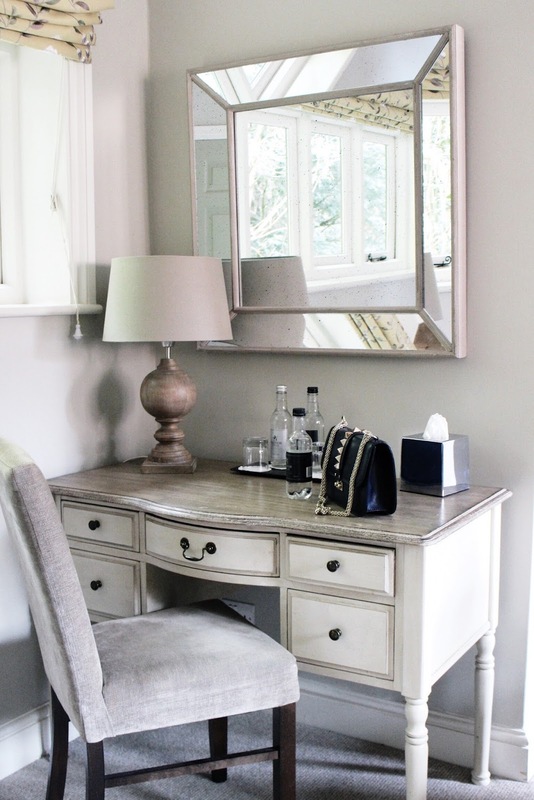 So, you've travelled miles and miles to see the manor - where to stay? 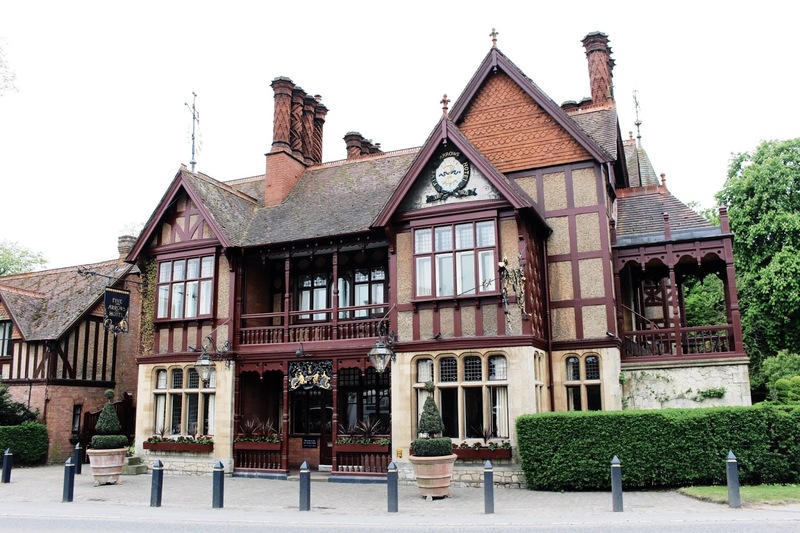 The Five Arrows Hotel is located just a few minutes away from Waddesdon Manor, in fact it takes pride of place beside the entrance gates. Perfect! There's plenty of parking and better yet, we found ourselves upgraded to a junior suite upon checking in. I've usually got a bit of a (totally unfounded) complex about sleeping on the ground floor, but the suite quickly won me over; neutral furnishings, beautiful bathroom and enormous bed included. If you follow along my Insta-Stories, you'll have seen the delicious dinner enjoyed in the 2 AA Rosette restaurant - and uh, the occasional selfie! Rise and shine! It may not have been particularly warm, but it wasn't raining and I think the British weather deserves a pat on the back for that, right? Once you've arrived at the car park within Waddesdon Manor, a bus shuttles visitors to and from various points. 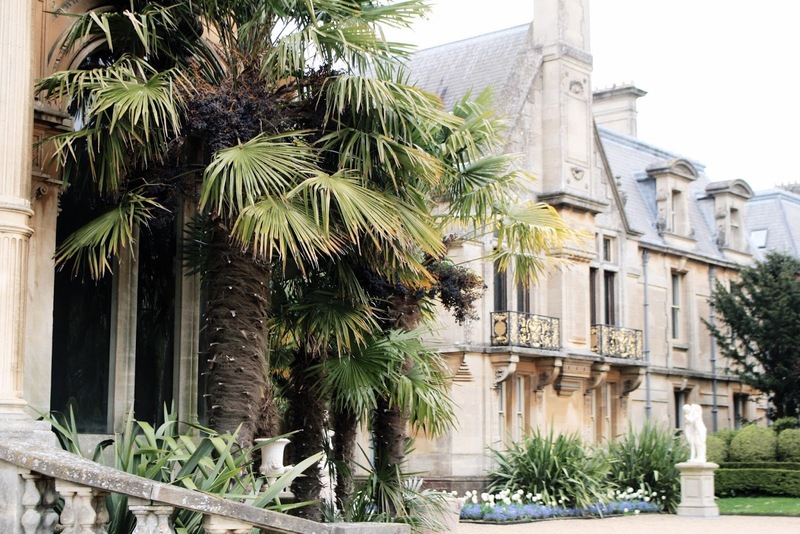 The Neo-Renaissance style of a French château is even more incredible to see in person, which explains why tourists from all over the world make the effort to visit. I'll admit, I genuinely forgot I was in England for a moment there! Before exploring the manor itself, be sure to save time to explore the gardens. The grounds feature a handful of sites such as a summerhouse, renovated stable (more on that later!) and Aviary. Psst! 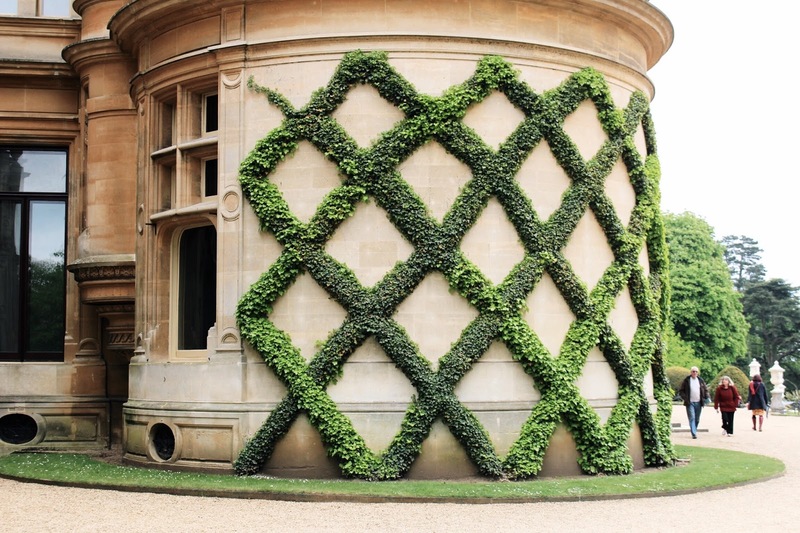 Check out What's On this year at Waddesdon Manor. You could be meeting the Aviary Keeper, trying a watercolour course or even enjoying a comedic play and open air cinema! The manor is at times totally breathtaking. 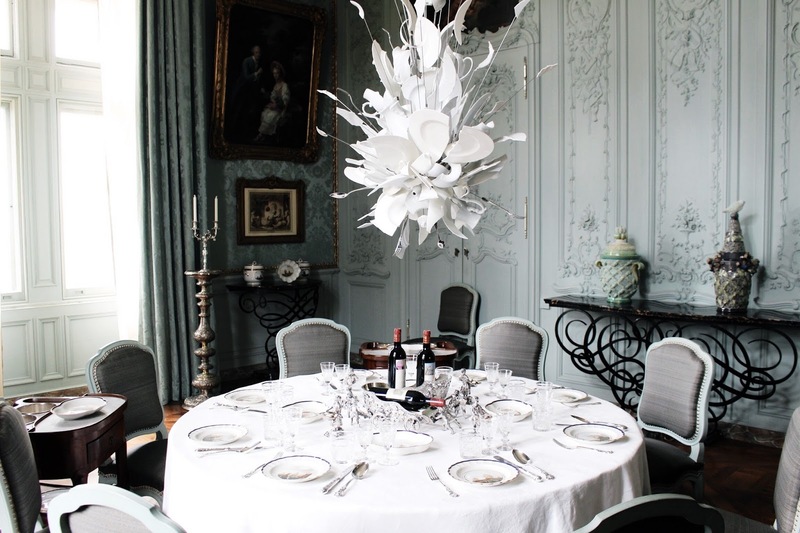 One of my favourite rooms was The Blue Dining Room, thanks to the chandelier commissioned for the room in 2003. It was designed by Ingo Maurer and titled 'Porca Miseria', which roughly translates to 'Oh my Goodness' in Italian. Another favourite was the drop dead gorgeous pink dining room - I don't think I've ever seen such a flamboyant and feminine space in my life! As much as I loved the idea of a picnic in the grounds, that would definitely have to wait for warmer months. Instead, a trip to the new Treaterie was on the cards. 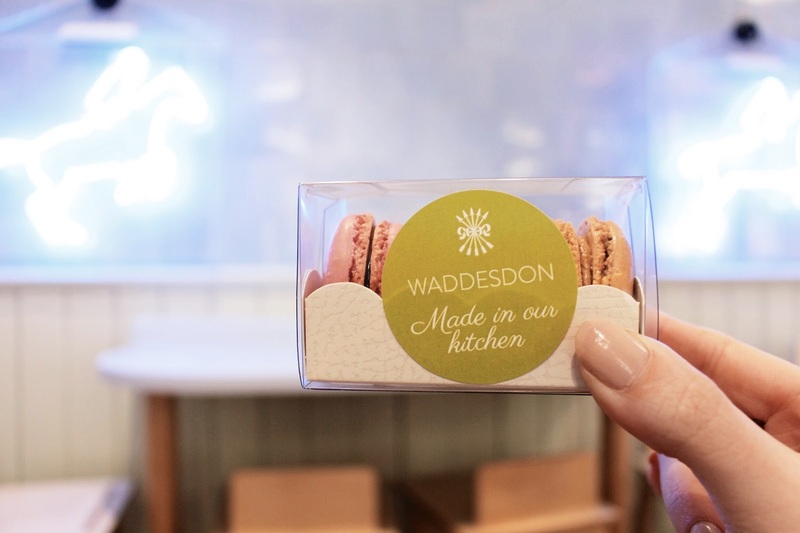 Located in renovated stables within the grounds, the new café serves crêpes, waffles, ice cream and macarons. It's pretty much heaven for anyone with a sweet tooth - myself included! After eating what was most likely the BEST nutella and banana crêpe of my life, I picked up a trio of macarons to take back with me. Yum! Oh but if you're on a diet or just don't fancy anything sweet, there's another café towards the back of the stables that serves other, more traditional meal options. 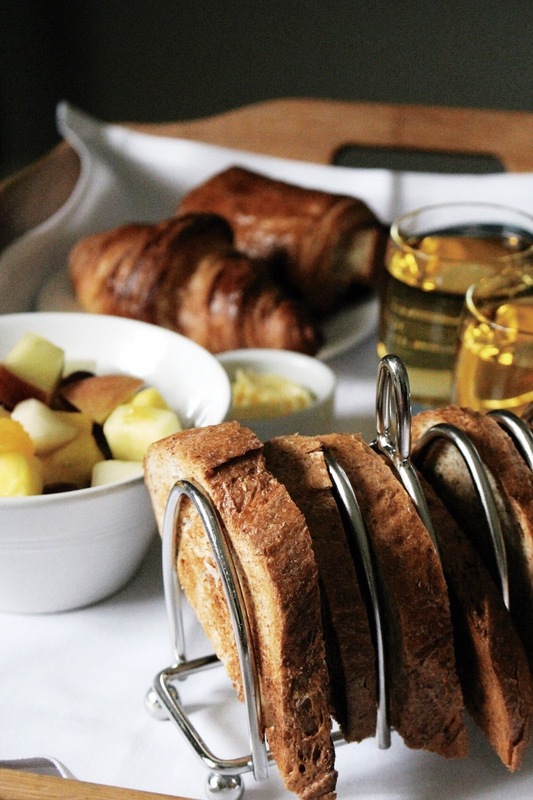 I reckon 24 hours is long enough to spend in the area; enough time to make the most of your accommodation, sample some tasty food and explore Waddesdon Manor. 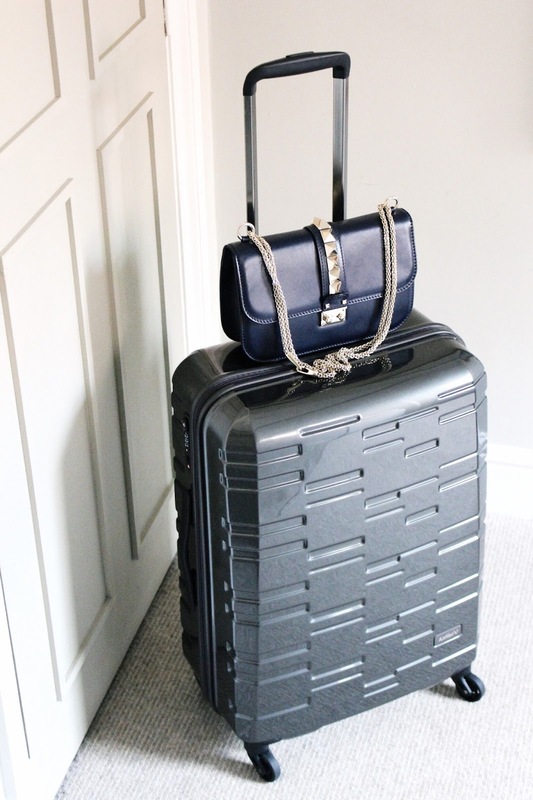 If you plan on taking a longer trip, you could add a couple of other points to your itinerary such as visiting a local market, or shopping at Bicester Village. Anyway, let me know if you've visited this area before, as well as your thoughts on The Five Arrows Hotel, or Waddesdon Manor! The Manor looks amazing! I would love to visit this place one day. 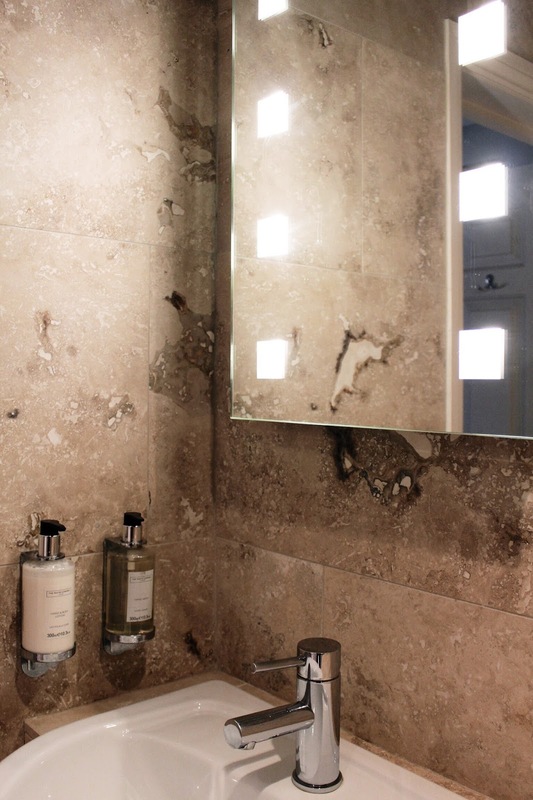 You always show us the most beautiful hotels! The chandelier is amazing! I love it if modern elements are paired with historical surroundings. what a gorgeous place! So picturesque! Would love to go there! Oh wow, what a gorgeous place to escape to! These photographs are so dreamy Gabrielle! I know you said it's great for a brief stay, but I feel like I'd never want to leave. I love making the most of this fair country we live in and Waddesdon looks more than worthy of a visit! I find being able to stay overnight makes a real difference to a short trip and it's such a treat! The Manor is breathtaking, what fun to imagine the comings and goings that occurred in the beautiful grounds! Such a beautiful place! 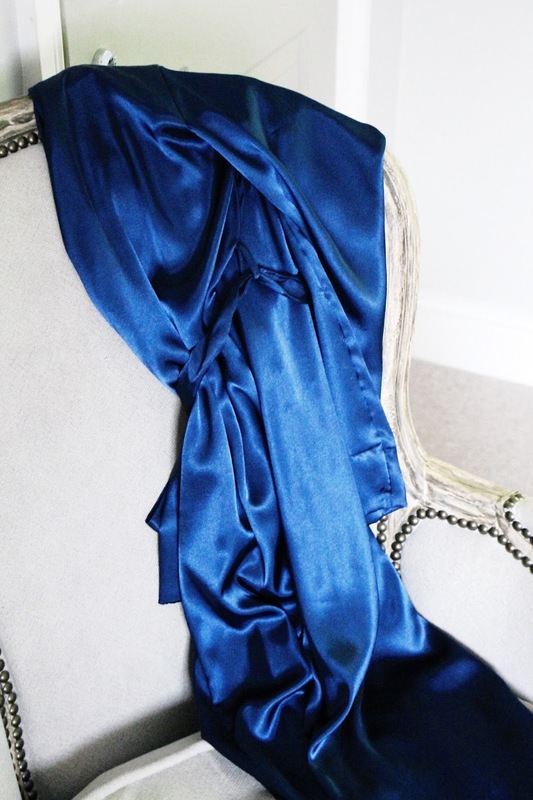 Perfect for a lovely escape! Your photos are always so artistic and beautiful, I just love them! This place looks amazing. Oh GIRL you literally find the BEST places! This isn't actually too far from Ben's house so I'm definitely going to check it out as it would be so lovely for a night or two away! Thanks for the recommendation love! What wonderful pictures! It's just a magical place! Gosh, this place looks like something straight from a fairy tale. So gorgeous. And your bags and outfit of course are lovely. This manor is so charming!! The criss cross ivy/greenery and the chandelier was simply gorgeous looks like something out of a storybook or at the very least a time far gone to us now. Great pictures loved how you captured your experience!! This hotel is just stunning, it looks amazing. I need to go to this place one day! First of all, these photos are so so so nice! Secondly, this place looks amazing omg. Thanks for sharing this! The architecture of the manor is giving me some mad Harry Potter feels. Everything is so quaint and pretty; I love all the greenery here! The table with flowers is so beautiful; would love to have a party with decor like that!! Yes, I can tell you love historic houses! I have never heard of the hotel, but the decor is so majestic! I am glad you had a great time there girl! It seems like you had a 24 hours princess life! This hotel is so beautiful! How dreamy is this place?? & pretty much all of your photos! I love historical places too but I didn’t expect to see palms there which has made it look even more magical. You always seem to find the most beautiful of places to explore! 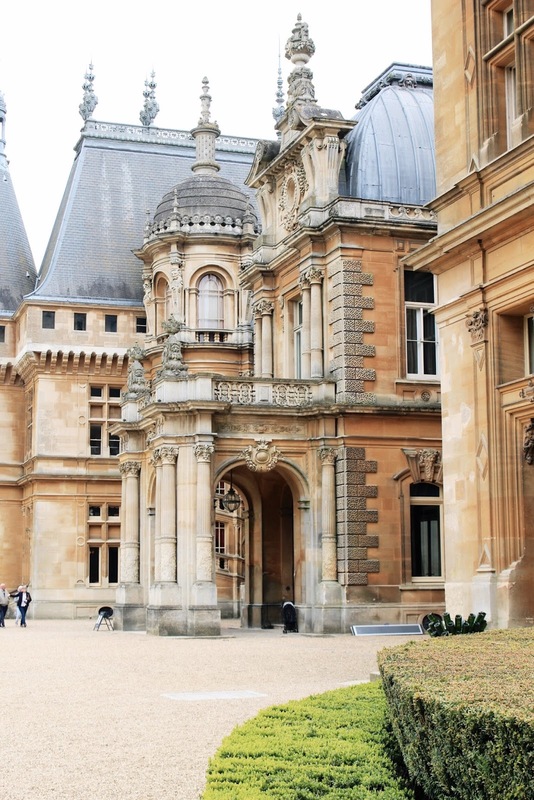 I went to Waddesdon manor about 4 years ago and had totally forgot how beautiful it was, what gorgeous pictures!! Wow, this looks like a magical place.. Beautiful photos! It is absolutely majestic Gabrielle! I love the architecture! The details are so pretty. What a glorious place. Wow what gorgeous photos. Great post! Oh, Gabrielle, you visit some of the most amazing places! I also love historic houses but don't visit them nearly enough. Thank you for the beautiful virtual tour and tips on what look to be excellent accommodations for staying the night. That Porca Miseria chandelier is awesome, by the way!! Oh my goodness! Your photos are always stunning! I love your beautiful hair and gorgeous outfit, Gab. Thanks for sharing! that hotel is insanely beautiful! Theses photos are sooo stunning ! I would love to visit this place it looks so amazing, it looks like a castle in a fairy tale ! It looks amazing!! I love it. I'm adding this place to my list. 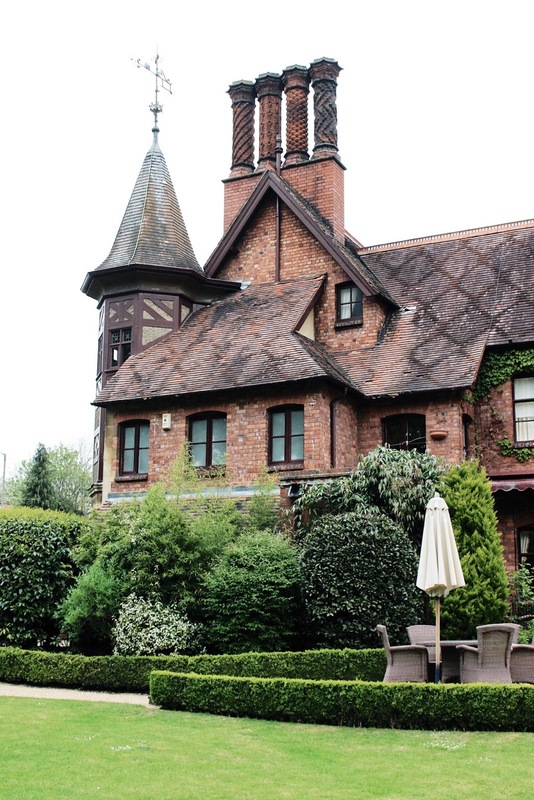 The The Five Arrows Hotel looks so charming I love the grounds and your room as well! It's quite impressive that you feel that the Waddesdon Manor is the most beautiful out of all the historic homes you've visited, but I can certainly see why, it's absolutely gorgeous! 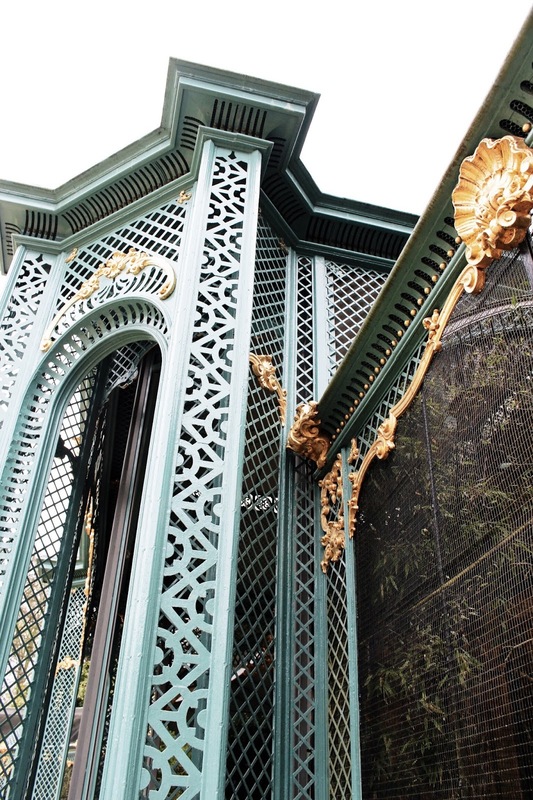 Never have seen so many beautiful details surrounding both the exterior of a home, as much as the interior. Truly breathtaking. Thanks so much for sharing, beauty, and I hope you're having a great start to your week so far, girlie! Another fantastic location Gabrielle! 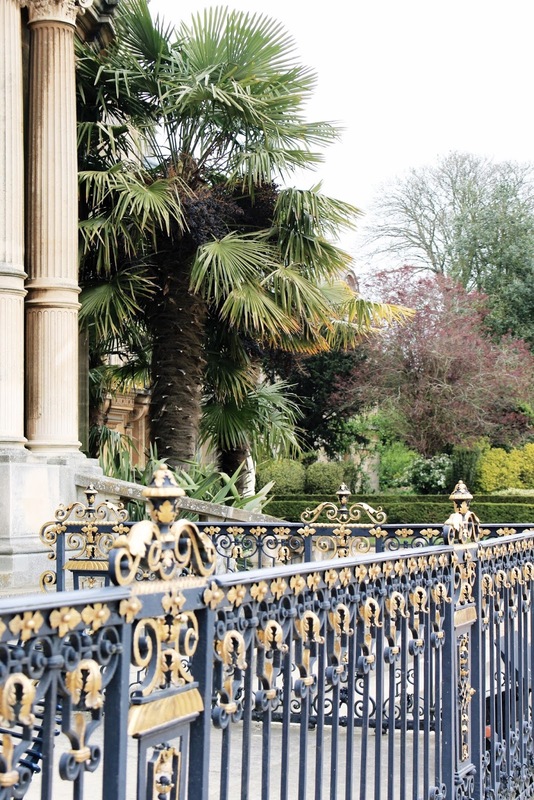 Waddeson Manor looks amazing and the nutella and banana crepe sounds so delish! I'm glad you had a wonderful time. My pictures never come out this good when I’m in a hotel! I love all the decor. The grounds are incredible. I have a hard time not devouring macarons. Seriously they are so delicious. That place looks like an absolute dream !Love it! Sounds like such a fun stay ! Your photos are always stunning Gab ! Now I really want to visit Waddeson Manor. From what I can see this country house is quite the place to visit. 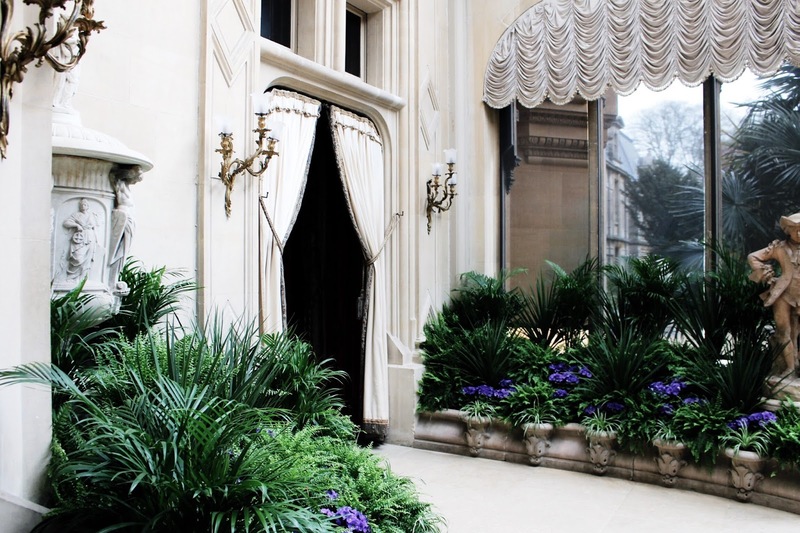 The architecture there is stunning....and the garden!!! Everything looks so green and serene around the house. 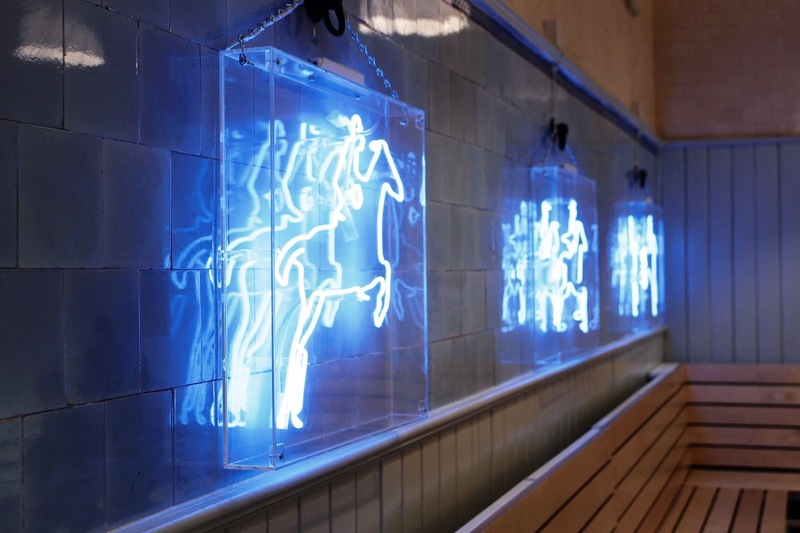 The Five Arrows hotel seems dreamy! 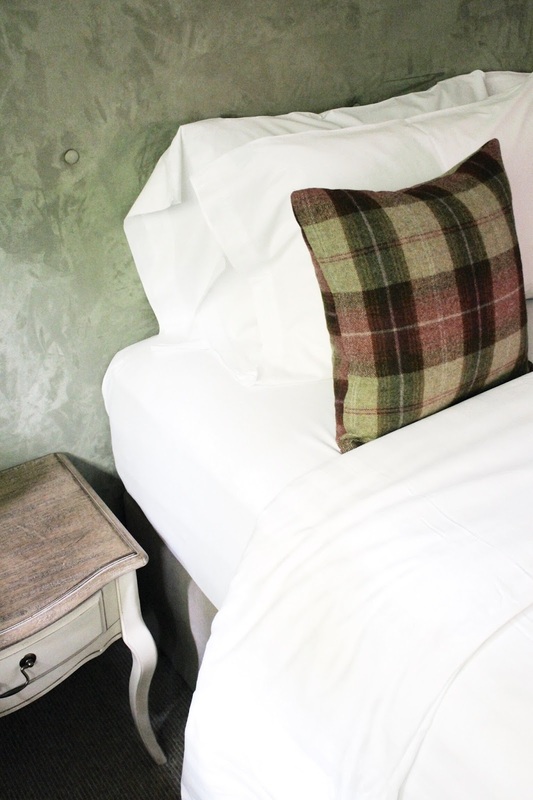 I really liked those tartan decorative pillows, details like that make any place look adorable. This hotel looks like a great place to stay in. You look stunning dear! That cropped version of a classical tweet jacket (makes me think of the famous Chanel jacket) is so cute. 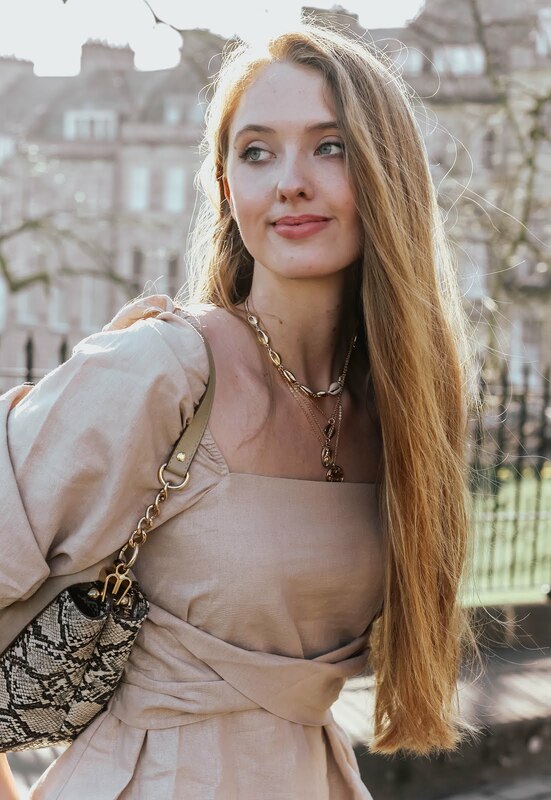 Lovely images and post. It was a pleasure to read this post, see the photographs and kind of "virtually" travel with you. That Manor looks beautiful and so fun to explore, I love adventuring in historic places like that. You know, the more I look at the grounds the more it reminds me of Downton Abbey as well! Aww, you were in my neck of the woods! 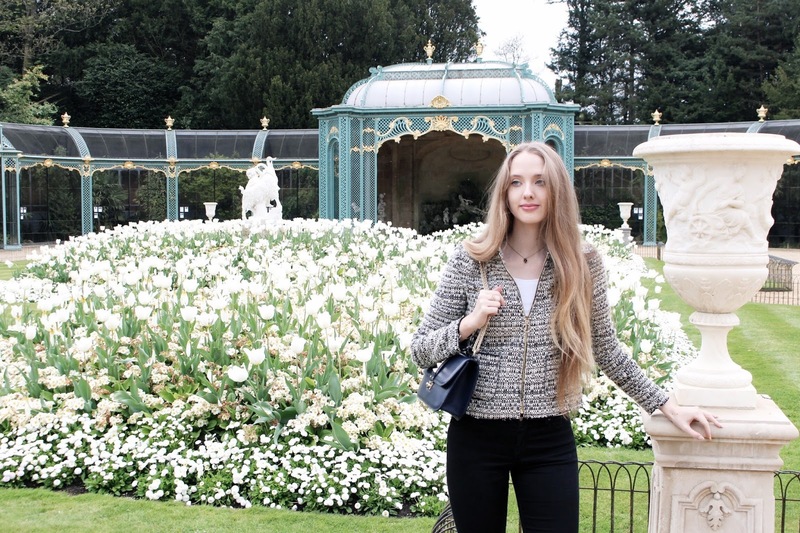 Waddesdon Manor is located around 40 mins from me :) It's beautiful isn't it, the gardens are stunning and you have really captured it well. I look the look of the Five Arrows Hotel too, the architecture looks amazing and it was so nice to be upgraded to a suite I bet. Love seeing your travels Gabrielle, your photos are brilliant as always. Oh wow what a gorgeous place! I love your handbag too Gabrielle. 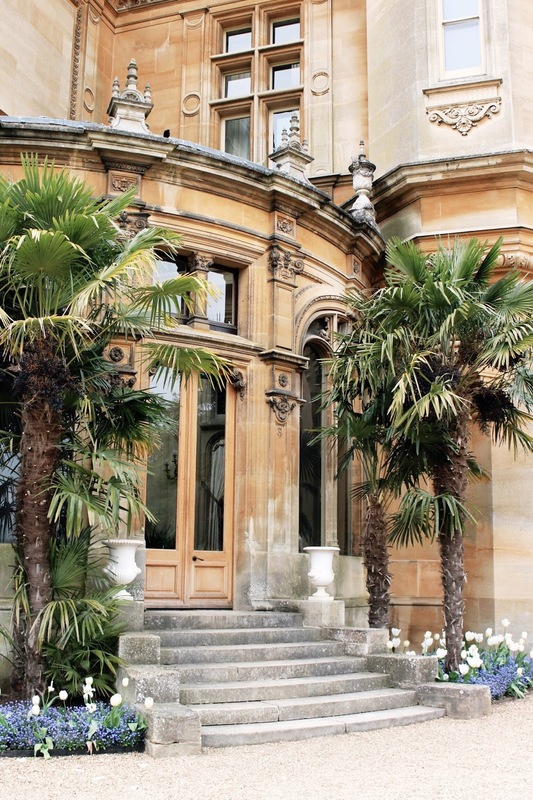 Waddesdon is gorgeous but I'm so surprised to see palm trees in England...? What????? I love traveling through your eyes! It's a great place to visit but a word of warning during high season (school holidays) you need to book house tours early, otherwise you are likely to miss out. Also helps if you are a National Trust member. We go two or three times a year and never get tired of the place. Great post and glad you enjoyed your visit to Bucks. Really great post Gabrielle and definitely somewhere to visit in the future. Caroline. 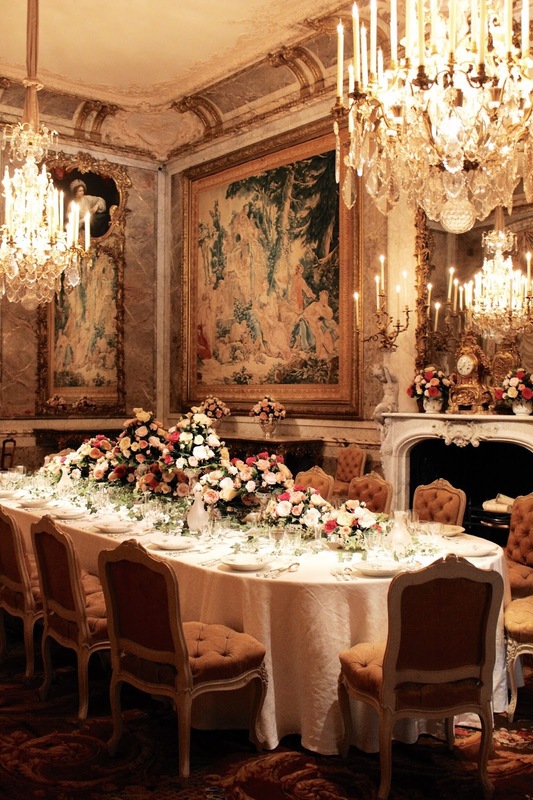 Waddesdon manor looks absolutely stunning! What a gorgoeus place to stay in. I need to remember this when I get to the UK next time. Hope you have a lovely week!